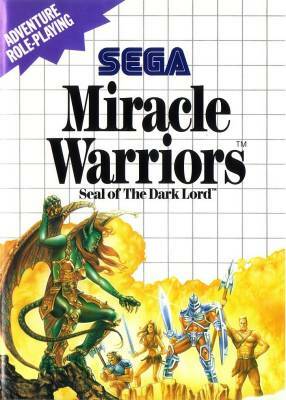 Miracle Warriors: Seal of The Dark Lord / Haja no Fuuin (覇邪の封印) - Games - SMS Power! 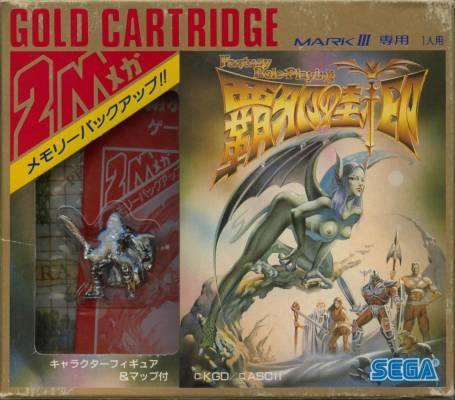 Second game released with a big box in Japan. Fate calls thee to bar evil's way! The Dark Lord Terarin has removed the Golden Seal from the Pandora Passage to let monstrous creatures roam the Five Lands. 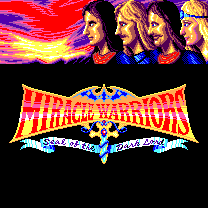 An ancient prophecy foretells of four brave warriors destined to battle Terarin and return the Seal to its rightful place. 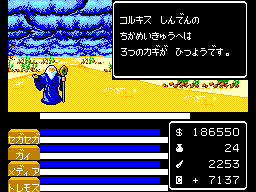 Art thou the one fated to lead the Miracle Warriors? Dost noble blood flow in thy veins? Join now in a fantasy role-playing quest across time to a world of swords and sorcery. Three companions await you... if you can wake them from slumber. 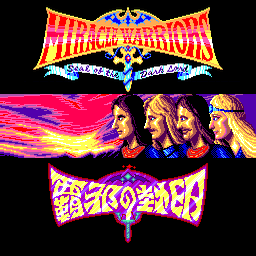 Miracle Warriors has a battery back-up memory so up to five can play and save their games! 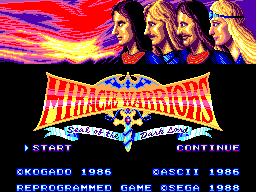 It's video gaming like you've never | played before... only from Sega®!